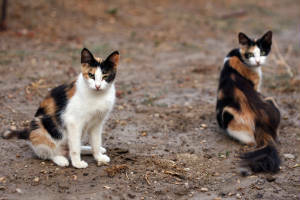 couple of feral cats for sale for chasing and training. learn to be a cat. cat of the canals if you will. one penny each. these guys are loud too.